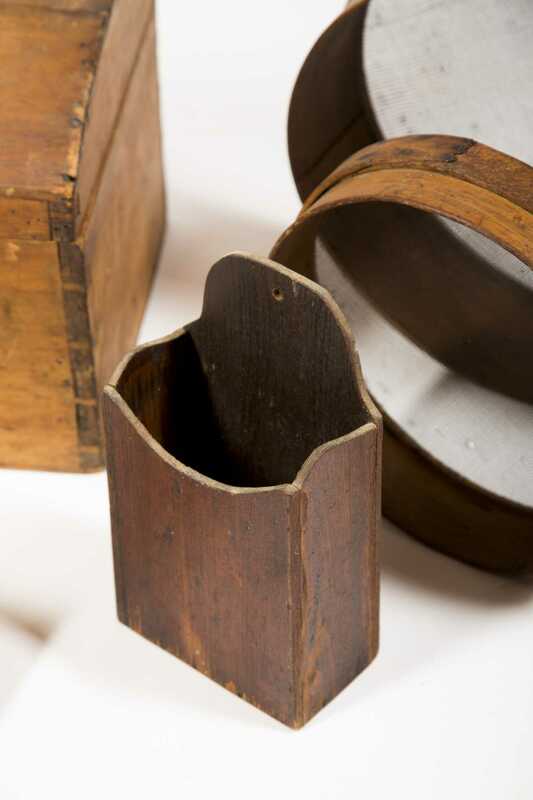 Miscellaneous Wooden Items, A) Shaker style wooden utensil carrier with some early utensils. 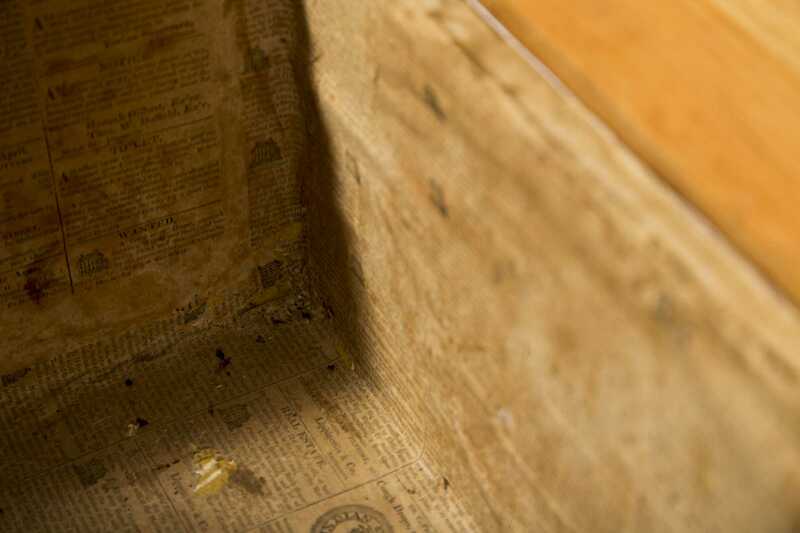 B) Small dome trunk, top repaired, lined with 1824 newspaper. 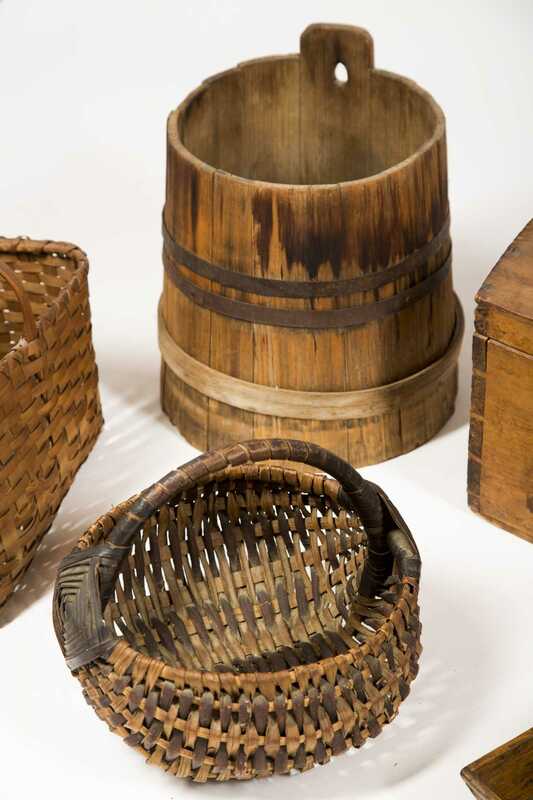 C) Melon and rectangular baskets. D) Wooden staved sap bucket. E) 20thC wall box, 18" tall. 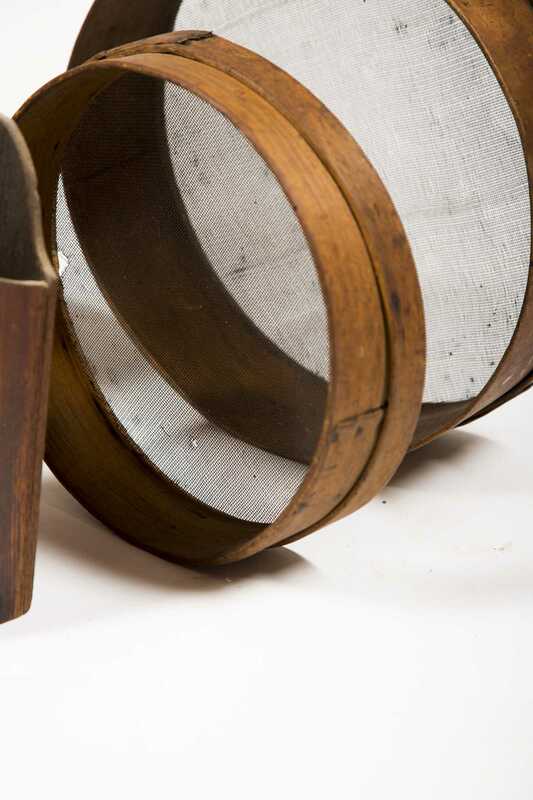 F) Two round sieves, 19thC.